Description:Based on the ride seen at major amusement parks. 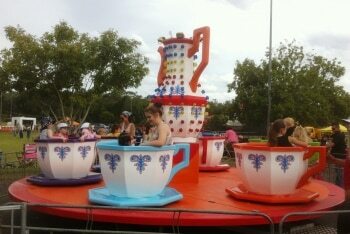 The colourful cups spin around on their own axis as the whole ride turns. This attraction has 6 cups each of which seats up to 4 children or 1 adult and 2 children. Parents can ride with children. The cup and saucer can be enjoyed by the whole family. 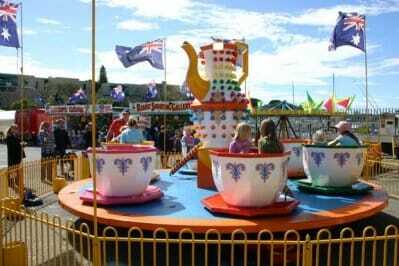 Two cup and saucer rides available to hire.